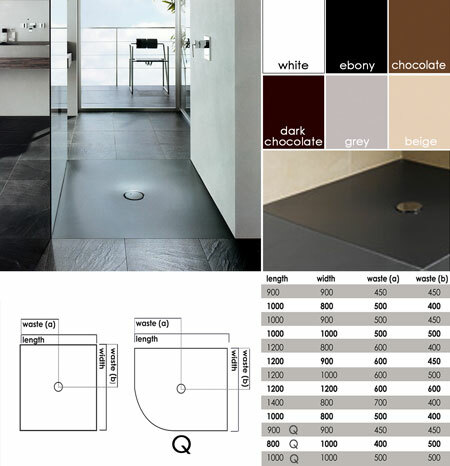 This completely black slim shower tray is ideal for minimalist flush floor level shower fitting and shows the cutting edge design trend towards thin coloured shower trays.This slim shower tray is manufactured in steel with extremely hard wearing stove enamelled finish. All our thin shower trays are 30mm in thickness and use a large 90mm waste for rapid draining of shower water. Other colour shower trays are available to special order. * 6 shower trays colours. * Acid, impact &scratch resistant. * 12 shower trays sizes.